As many of you know, I've been baking bread with low-gluten Einkorn flour for almost two years now. When I first started, the recipes for Einkorn bread that I was able to find were rather crude and I combined a number of techniques to make a loaf that was, although very little effort to make, rather dense and heavy. The Einkorn loaf I used to make--a bit of a hockey puck.. but little effort to make and better tasting than any other gluten-free bread I've found. Oddly, that crude Einkorn loaf had a way of growing on people. The strong sour dough flavors were almost addictive and despite the fact that it practically had to be cut with a table saw to be sliced, we liked it. The recipe for this pretty much no-effort loaf is here. Lately, I've been baking my Einkorn loaves according to Carla Bartolucci's recipe for "Classic French Boule" and I have to say that the texture and appearance of my bread has improved by leaps and bounds. Bartolucci is the owner of the Jovial company in Italy. Jovial markets biodynamic Einkorn flour here in the US and this is the flour that I use to make my bread. Bartolucci first began experimenting with Einkorn flour after her young daughter developed a significant intolerance to gluten. As you may know by now, if you've been following Eat Thrive Heal, Einkorn is an ancient grain with a very low gluten content. Importantly, when you use Einkorn with a sour dough culture, the culture consumes much of whatever gluten remains. Although we would not recommend Einkorn to people with Celiac disease, almost anyone with a gluten sensitivity or allergy can tolerate Einkorn. 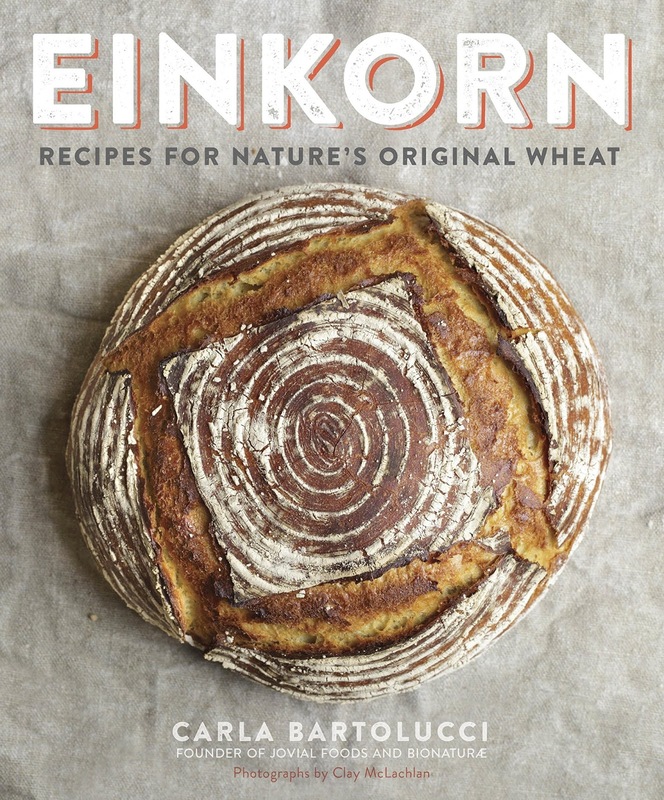 I've done quite a bit of writing about Einkorn. If you'd like to learn more, see here. 1) Einkorn flour does not like to be handled as much as modern wheat so very little kneading is required. I usually only knead it for a minute or so, just 60 easy pushes and no more. 2) Einkorn dough is much wetter and stickier than dough made from modern wheat. Also, it's best if you give it a little resting time after combining it so that the flour can soak up the moisture. (This is partly what was missing in my previous recipe for Einkorn bread.) This creates some extra steps with frequent short rest periods in between, adding more prep time into the overall baking cycle. 3) There are two things that give Einkorn bread good flavor. The first is the sour dough culture, so be sure to allow your loaf plenty of time for the sour dough to develop in the rise. The second is the salt. Use a high quality sea salt and be generous with it. Bartolucci's recipe calls for 1 1/2 teaspoons of salt, but I have been using 2 teaspoons of coarse Celtic sea salt and think even more would be better. (No need to worry about sea salt causing health problems (see here). 4) Water temperature is very important. 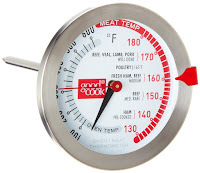 Whether you are feeding your sour dough culture or adding water to your Einkorn dough recipe, making sure that your water is around 100 degrees is very important in getting good culture development or an efficient rise...too hot and it will kill your starter, or too cold and you won't get enough action quickly. 5) You can boost your rise with your oven light. I live in a snowy climate and our summers are cool. My kitchen is often 65 degrees. I've found that I can put my sour dough cultures or bread dough into my unheated oven and turn on only the oven light. The light bulb in the oven creates enough heat to bring the temperature up just enough to become a perfect friendly environment for bread rising. Don't chicken out-- My original recipe was simple. I have to warn you that this will seem like a lot of extra needed steps and special equipment. Getting a proper sour dough starter may feel overwhelming in itself. I encourage you to persevere through all this, however. The results are worth it. And importantly, once you get the hang of all this, it's really surprisingly simple. My old loaf on the left and Carla Bartolucci's on the right. Which loaf looks best to you? 1) Dutch Oven-- You'll need a Dutch oven or pyrex casserole dish with a lid. I love baking my loaves in a small Le Crueset Dutch oven I've had for many years. They come out perfectly, but I've also used a covered pyrex casserole dish with equal success. 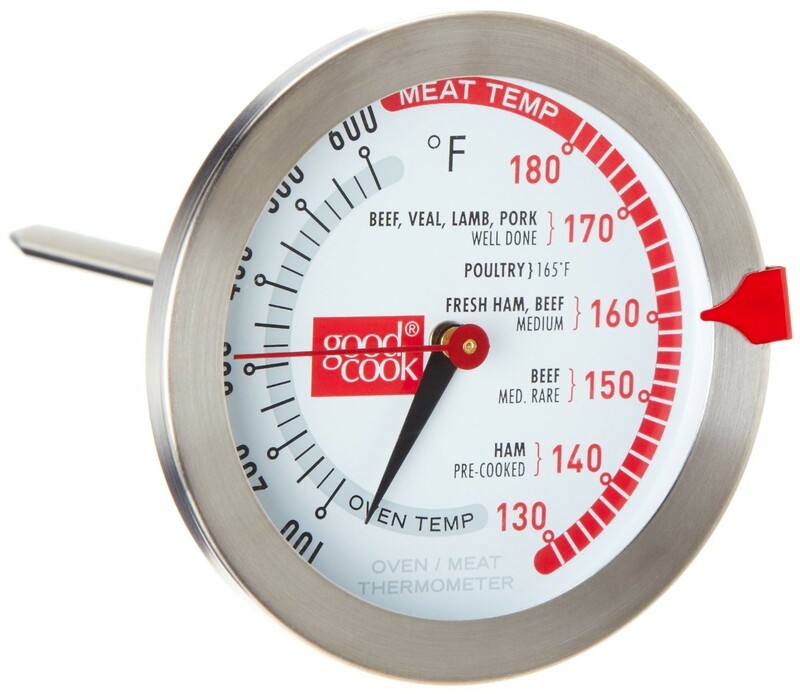 2) Touch thermometer-- It's essential that the water you add be about 100 degrees. You'll need a touch thermometer to be accurate. 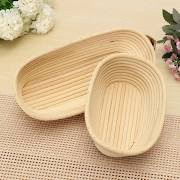 3) Rattan rising baskets-- These aren't necessary but are really nice if you want to get the classic ribbed texture on the top of your loaves. You can find these from a number of online resources. Just look up bread baking proofing basket. If you are using a round baking casserole dish, get a round proofing basket. Since I bake in an oval Dutch oven, I use a 9" oval that I paid about $15 for. 4) A special bread slashing razor blade tool or poultry shears-- Getting the best rise requires slashing the bread dough right before baking. You can use a specialty razor tool or you can just cut it with your poultry shears. 5) Sour dough Levain-- For directions on how to obtain or make a sour dough starter, see here. Early the morning of, or the day before baking your bread, you'll want to feed your starter and create a Levain. To do this, you'll add together 1/2 cup plus 1 tablespoon of 100 degree water, 1 cup of all-purpose Einkorn flour plus 2 tablespoons of sour dough starter. Bartolucci recommends that you let your Levain stand at room temperature for 6-10 hours but I find my levain is ready to go in just 2-3 hours. The Levain is ready when the top is bubbly. 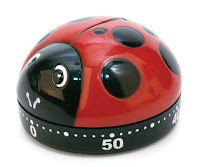 6) Baking Timer-- You'll want to set your oven timer for a series of 15 minute rest periods. 7) Time-- Although there's not really all that much active prep time required in baking Einkorn bread, you'll need a full day of at-home time to do so. 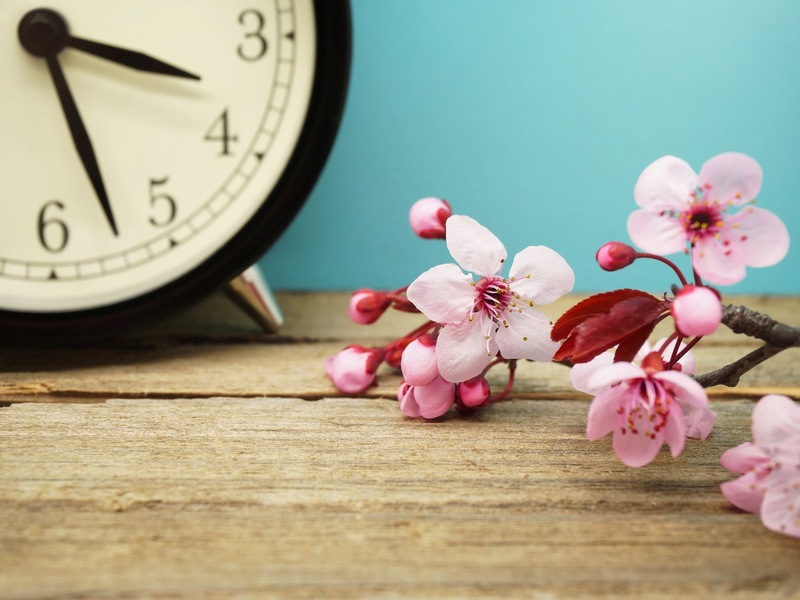 There are several inactive periods in which you can run an errand or two, but you'll want to bake bread on a day when your schedule is flexible enough that your activities can be dictated by your bread's needs. Combine-- In a large mixing bowl add all the ingredients together and stir lightly until just barely combined. Cover with plastic wrap and let rest for 15 minutes. Knead-- Lightly flour a kneading surface and knead the dough for a minute or two, about 60 gentle pushes. Put the dough back in the bowl, cover with plastic and let rest 15 minutes. Fold-- Put the dough back on your lightly floured kneading surface and gently but firmly press it into a rectangle about 12"wide x 9" high. Fold it in thirds, folding the left side in and then the right side so that you have a long thin strip about 3-4" wide x 9" high. Press gently after each fold. Turn the dough so that the 9" is now the width in front of you. Fold the strip into thirds one more time, folding in the left and then the right sides, creating a nice square pillow shape. Put the dough pillow into your bowl, cover with plastic and let rest 15 minutes. Fold again, rest, and fold again-- Repeat the folding sequence two more times, resting in between. The big rise-- After you've folded the dough three times, place the dough back in the plastic bowl and let it rise for 3-5 hours. The "punch" down-- Scrape the dough from the bowl and gently knead it a few times to "punch" it down. Shape the loaf into an oval or round (depending on the shape of your proofing basket and Dutch oven). Generously flour your proofing basket and place your dough into it to rise again for 60-90 minutes. Preheat the oven to 500 degrees-- Place your Dutch oven or pyrex casserole dish into the oven until it reaches 500 degrees. Transfer and slash-- Remove the now hot Dutch oven or casserole dish from the oven and close the oven door to retain the heat. Carefully turn your proofing basket upside down with one hand supporting the bread dough. When the dough comes loose, gently place it into the hot Dutch oven or casserole dish. Using a slashing razor or poultry shears, cut into the loaf on the top side about 1/2" deep, creating an attractive pattern. I like to create a wide square within the oval shape of my loaf. Slashing is important because it allows the loaf to rise even more once it hits the hot oven and this creates a lighter airier. Put the lid on and place the Dutch oven or casserole dish into the oven to bake. Turn the oven down to 450 degrees-- Bake for 40 minutes. Remove the lid and bake for 5 more minutes to brown the top. Remove and cool-- Using oven mitts, remove the loaf and place on a rack to cool for 2 hours before slicing. Keep-- You can wrap your loaf in a clean cotton towel and keep it out on your counter for up to 3 days. Your loaf will keep for several weeks in your refrigerator, or you can freeze it in a sealed plastic bag.